Secura Key is an industry leader in the creation of access control cards with custom, four-color graphics. Custom cards may be ordered in Barium Ferrite and e*Tag® technologies. A minimum quantity of 250 cards is required for custom artwork. There is a minimum order of 250 cards for each color change. Having your own artwork printed on your SecuraKey cards? This custom artwork charge handles the setup for your artwork. Add it to your cart when you purchase cards with custom artwork, non-standard mag stripe configurations, and custom numbering locations. The best way to send logos and graphics is electronically, in PC or MAC format. Preferred artwork format is Adobe Illustrator, however TIF, JPG, EPS and PDF are also accepted. All submitted artwork must be in CMYK, and if there is any text, you must include the fonts as well. PhotoShop images such as JPG, TIF, PSD must be in 300 dpi or higher at actual size. If hard copy or negatives are sent please provide camera-ready artwork. Camera-ready artwork is complete and is actual card size (or 1/8” larger for backgrounds that bleed to the edge of the card.) For Barium Ferrite cards be sure to include insertion instructions or an arrow to show which end of the card is inserted or placed on the reader. Accompanying your graphics please send a full description of the artwork for both sides of the card, including a sample drawing to illustrate the card layout and desired type size and style. This may be done with a sketch or paste-up made with an ordinary office copier. On this document also specify the four-color process or PMS ink color(s) to be used. The standard plastic color is white. If another plastic color is desired, contact Customer Service for more information. If you do not have camera-ready artwork, want to match a color swatch or need other design assistance, send us what you have and our professional graphic artist will create artwork to your specifications. Please be aware that hourly charges will be billed for any art services that are necessary to create usable artwork. The proof must be sent to you, not faxed. Fax resolution is too low and there is no way to convey actual ink colors by fax. Secura Key will send proofs overnight at no charge. The proof should be signed with no reservations. If changes are required, a new proof will have to be made. For customer requested changes, there wil be a charge for the second proof, including freight. The new proof will be completed within one week and again sent out for approval. Once the proof is approved with no changes you must return it to Secura Key. We cannot begin printing custom cards until we have a signed proof at our factory. The typical lead time to complete a custom card order is four weeks after we receive the signed proof at the factory. Reorders of cards with the same artwork and colors is a simple matter. A four-digit artfile number appears in a corner of every card. Simply specify the artfile number and order a minimum of 250 cards. The typical lead time for reorders of custom cards is three weeks. You can order cards to be custom printed and held in stock at the factory, un-encoded. Minimum order is 250 cards, and you will be charged for the full price, less the encoding charge. If you order 250-2499 cards you will pay printing charges, but if you order 2500 cards or more, printing charges are waived. When you are ready to encode (minimum 50 cards), they will be encoded and shipped to you for the encoding charge. This effectively reduces custom card delivery time from 4 weeks to 3-5 days. SK-PRINT: The printing charge recurs every time we run a batch of custom cards. One printing charge is billed per color, per side. SK-CLRCHG: A color change charge occurs when the same artwork is to be printed on a run of cards but a portion of the run is printed in one color and the rest is in another color. The following options can be specified in your card order. The options you choose will be reflected by the manufacturing code, which follows the base card part number. Customer Service can give you the complete card part number for the options that you request. 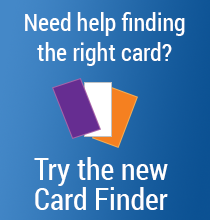 All options are not available on all cards. Check with customer service for any questions.